Thank you for your email , we will not and have not advertised on the Bill O’Reilly show. The Home Depot has a strong passion for being environmentally responsible both in the Company’s operating principles and in responsible retailing through our industry-leading Eco Options initiative, a program that allows customers to easily identify products that have less of an impact on the environment and empowers them to help make a difference in their own homes. We have led many initiatives with interest groups to develop standards and set environmental goals for ourselves and suppliers. Some of these at great expense and sweat equity to the company. Our advertising campaigns have one simple objective to communicate with audiences in the most effective way possible. The Company is receptive to many forms and styles of media as we seek a balanced representation of programming to reach our customer base. Unfortunately campaigns like this one cause us to take time away from our sustainability goals and address a variance of political views. Obama Playing Dirty Pool or Considering a Variety of Views? Earlier today I quoted from Andrew Sullivan regarding a difference between Obama and Clinton. I agree with Andrew Sullivan in the closing line of his quote and, which should be obvious as I quoted him, I do believe that what Sullivan says about the Democratic primary has is worth reading. Barack Obama’s web site also quoted this, but Taylor Marsh considers quoting a conservative as being dirty pool.It is perfectly reasonable for Obama to quote this, and quite conventional for a candidate to quote a favorable response. If this was a case of a conservative praising a Democrat for being more conservative on an issue it might not be as relevant, but here Sullivan is backing the more liberal position. While I disagree with Sullivan on many issues (and agree on others) we do share one thing in common. We are both more concerned about issues and principles as opposed to loyalty to one of the political parties. In our hyperpartisan attitude, the ability to appeal to members of both parties is an advantage for Obama (as well as Bill Richardson) as opposed to Clinton and Edwards. Some Democratic voters might choose to ignore the views of a conservative such as Sullivan. Others who are more independent, such as myself, do find it relevant to see signs that a candidate resonates better with independents and possibly even Republicans. Even diehard Democrats might consider this should they weight in issues of electability. Consideration of views from across the political spectrum is a laudable trait in candidates, as well as bloggers. Some Democrats may find the quote from Andrew Sullivan to be irrelevant, and others may find it to be worth repeating. Under those circumstances, it is hardly dirty pool for Obama’s web site to post the quotation and allow readers to decide upon the relevance. So, maybe, just maybe, we have our priorities wrong. Perhaps cheapening the vote by requiring little more than an active pulse (Chicago famously waives this rule) has turned it into something many people don’t value. Maybe the emphasis on getting more people to vote has dumbed-down our democracy by pushing participation onto people uninterested in such things. Maybe our society would be healthier if politicians aimed higher than the lowest common denominator. Maybe the opinions of people who don’t know the first thing about how our system works aren’t the folks who should be driving our politics, just as people who don’t know how to drive shouldn’t have a driver’s license. Instead of making it easier to vote, maybe we should be making it harder. Why not test people about the basic functions of government? Immigrants have to pass a test to vote; why not all citizens? In the abstract he might have a point. There would be value to having a higher percentage of voters be people who have a basic understanding of how the political system works. (It would be even more ideal if they also had the background to see through the usual spin of the right wing noise machine). While perhaps sensible in principle, the idea raises serious problems should it ever be put into practice. Once someone has the power to decide who does and does not have the right to vote, the risk of corruption becomes too great. Voter suppression has already become a Republican tactic which might have influenced some election results It would be far too dangerous to institutionalize the practice of deciding who is allowed to vote. Besides, allowing everyone to vote, with all its faults, is a cornerstone of modern democracy. There have been too many battles to expand the vote to groups such as blacks and women to backslide on universal suffrage. Reading this column makes me think that testing of columnists as opposed to voters might be a good idea–especially as this is the second time today I’ve commented on poor ideas from Goldberg. As tempting as it is I would no more back that, out of respect for freedom of the press, than I’d go along with Goldberg’s idea to test voters. I bet Goldberg would turn out to be as misinformed as the typical viewer of Fox News. Rudy Giuliani offered a health care plan lacking in substance, instead falling back on his usual tactic of name calling. Giuliani equated the proposals of the Democratic candidates with the views of Michael Moore, claiming the Democrats support socialized medicine. This is the same tactic used by George Bush in 2004 when he claimed that John Kerry’s plan was a government take over of health care when it actually centered voluntary measures to assist businesses and individuals who were having difficulties with the cost of health coverage. Republicans typically scream socialized medicine when they are the ones who back increased government intrusion in health care decisions, including on abortion rights, end of life decisions, and medical use of marijuana. Giuliani has opposed allowing cancer patients to use marijuana for relief of symptoms. 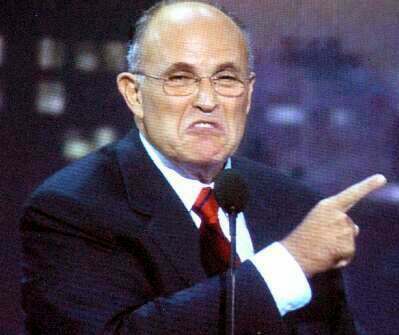 Giuliani is especially dishonest when he compares the plans of the Democratic candidates to Michael Moore. While most Democrats probably agree with Moore’s description of the health care crisis, none of the candidates agree with Moore’s solutions. Of all the candidates, only Dennis Kucinich has backed a single payer plan, and Moore has said that even Kucinich’s plan does not go far enough for him. He said he can solve global warming in five to 15 years and would end illegal immigration in a year and a half to three years. “I give ourselves 18 month to three years to accomplish it,” he said. Update: The New York Times has more on Giuliani’s proposals. Giuliani claims that under the current system “there is no incentive to wellness.” In general people would prefer to be well as opposed to being sick. However if promoting incentives for wellness is the criteria we judge plans by, Giuliani’s plan fails. Giuliani is very vague on his plan, but he did discuss the use of Health Savings Accounts. A major problem with HSA’s is that they are used along with high deductible insurance plans leading people to avoid routine care of chronic diseases and preventative care to avoid taking money out of their own plan. The differences between Barack Obama and Hillary Clinton are just beginning to be seen, and I believe the differences will be more distinct as the campaign progresses. The Politco found a difference in their attitudes on needle exchange programs when both appeared before the Community Service Society of New York. Clinton responded to King’s question [1:10:40 in the video at the link above), after some prodding, by saying, “I want to look at the evidence on it” to see whether needle exchange would prevent the spread of HIV without increasing drug abuse. Shalala, King responded, had “certified” the safety and effectiveness of the programs. “And then she refused to order it, as you remember,” Clinton said. King replied that that had been her husband’s decision. “Well, because we knew we couldn’t maintain it politically,” Clinton said, and went on to discuss the trade-offs in that dispute with Congress. “I wish life and politics were easier,” she said. King then referred back to Clinton’s opening remarks. “You made a great comment earlier about how our next president needs to have some spine,” he said. “We’ll have as much spine as we possibly can, under the circumstances,” Clinton responded. Obama is different. He wasn’t mugged by the 1980s and 1990s as Clinton was. He doesn’t carry within him the liberal self-hatred and self-doubt that Clinton does. The traumatized Democrats fear the majority of Americans are bigoted, know-nothing, racist rubes from whom they need to conceal their true feelings and views. The non-traumatized Democrats are able to say what they think, make their case to potential supporters and act, well, like Republicans acted in the 1980s and 1990s. The choice between Clinton and Obama is the choice between a defensive crouch and a confident engagement. It is the choice between someone who lost their beliefs in a welter of fear; and someone who has faith that his worldview can persuade a majority. Update: Taylor Marsh charges Obama with playing dirty pool for quoting Sullivan. My response. Yesterday I noted how conservatives have redefined eugenics as part of their attacks on liberals and science. Ezra Klein has also argued against such misuse of the word eugenics. Ross Douthat continues to feel he can use the word to mean whatever he wants it to. If Humpty Dumpty is the referree, then Douthat wins. Otherwise, Ezra is right. Regardless of where one stands on abortion, individual choices to terminate a pregnancy is a totally different issue than a program of eugenics designed to alter the species. As I also noted in the previous post, this is just another example of the Frank Luntz school of trying to win arguments based upon the words you use as opposed to the merits of the argument. I am hesitant to make very much out of polls this far before the Iowa caucus as so many voters decide in the final twenty-four hours before voting, but this new ARG Poll does contain some very bad news for John Edwards as well as some good news for Bill Richardson in Iowa. Edwards has based his campaign on virtually living in Iowa since 2005, hoping that a win there could allow him to repeat John Kerry’s path to victory. This strategy was always faulty since everyone knew his strategy, and only a landslide victory would be likely to give Edwards a bounce. Edwards also faced the problem that, while Iowa might back a populist candidate such as him, his chances are much poorer than Kerry’s in the northeast, including New Hampshire. In many ways John Edwards in 2007 is much like Joe Lieberman in 2003. Both received enough name recognition from running for Vice President to do well in early polls due to name recognition. There are, of course, distinct differences between the two. While Lieberman stuck to his unpopular views on the war, John Edwards learned he was wrong and changed his position. His change of heart would be more convincing if he hadn’t also changed his position on more issues than Multiple Choice Mitt Romney. The other difference is that, while we might disagree with him on the issues, Joe Lieberman was far more experienced and qualified than John Edwards to be President. I’ve suspected from the start that Edwards’ advantages from name recognition would diminish as other candidates were seen campaigning. Hillary Clinton also had no problem with name recognition, starting the year with the lead in Iowa. John Edwards remained competitive due to making the state his second home, and led Clinton as recently as April. Clinton soon retook the lead, and currently has extended her margin to nine points. There’s still a lot of time for Edwards to make a come back in Iowa, but that might prevent him from campaigning sufficiently in the states which follow soon after Iowa. While the more of Edwards they see the less they like him, with Richardson it appears to be the reverse. Bill Richardson has pulled to only two points behind third place Barack Obama, after polling at 1% for much of the year. These shifts in momentum are important. At this point I’d rather be a candidate on the way up, even if only in fourth place, than a candidate on the way down like Edwards. What is particularly interesting is the results when likely caucus goers are broken down between Democrats and those claiming no party affiliation. Richardson is in first place among those with no party affiliation, with Obama second. The Edwards campaign tries to hide the reality that his nomination would give the Republicans the best shot at winning the general election with unsubstantiated claims that he is most electable. The likely Iowa caucus voters who claim no party affiliation have little interest in Edwards as he comes in well behind Richardson, Obama, Clinton, and Undecided. Success among those with no party affiliation may not be enough to help Bill Richardson win the caucus, but the lack of support for Edwards suggests he’s not the Mr. Electability which his campaign tries to portray him as. In yet another blow to Edwards’ campaign, the AFL-CIO, who he was heavily courting, has decided not to endorse anyone yet. This is partially due to Edwards being so far behind Clinton and Obama. First there was the Obama Girl video, followed by the Hot4Hill video with lesbien undertones (both posted here). Ron Paul supporters have taken this to a new level with Lipstick Lesbiens for Ron Paul. What happens if the House impeaches and enough Republicans in the Senate block conviction. Wouldn’t that mean that Bush is excused and is free to continue on as he pleases? Does it set a very dangerous precedent? Barring a smoking gun such as the Watergate tapes, it is very unlikely that the Senate would convict considering the number of Republican votes which would be necessary. While impeachment is the Constitutional remedy for a President who has abused his power as George Bush has, I’ve not made for impeachment a major concern of mine for this reason. Despite the fact that Bush would not be convicted, I support impeachment primarily as this would be a way to present the full case against Bush. After impeachment, Bush would not only be tried by the Senate, but would also be subject to the view of public opinion and of history. After the full evidence against Bush is not only presented but made a top subject of political conversation, Republicans may vote to protect Bush, but in doing so would risk discrediting themselves and their party. There is the risk that Bush would feel he was exonerated and could do as he pleases if not convicted in the Senate. Fortunately he would have little time left in his term, and the increased scrutiny of his actions might act to inhibit him. There is the risk that it could set a precedent if Bush is acquitted by the Senate. I hope that the lesson to history is not that Bush was innocent, but that he was protected due to the high degree of partisanship at present. I also fear the precedent set if no action is taken by George Bush. Bush has greatly expanded the powers of the Presidency well beyond that intended by the founding fathers. Future Presidents may feel no restraint in further abusing the powers of the office if no action is taken against George Bush at all. There is one scenario for impeachment which is not plausible in the real world, but makes for an interesting fantasy. The next Congress begins before Bush’s term ends in January 2009. If there was enough public outrage against Bush and Republicans who refuse to convict him in the current Senate,this could become a major issue leading to Republican Senators being voted out of office in 2008. Even those Republican Senators not up for reelection until later might have second thoughts about defending Bush. While it will never happen, in theory a new Congress meeting in January 2009 could impeach and convict George Bush for the sake of precedent and the history books, especially if the investigations were conducted and evidence accumulated by the current Congress. Some have argued for censure in place of impeachment. This might be a satisfactory alternative. While censure doesn’t carry the same historical weight as impeachment, it could allow for a full investigation and a public statement that Bush’s actions are not tolerated under our system of democracy. Since your column the other day, I’ve been quoting you in my .signature, which as you know is a four-line tag that gets appended to everything I post in Usenet discussion newsgroups (and would get appended to e-mails I send, if I wasn’t temporarily using gmail). If the first clue that this was nonsense was that this comes from Jonah Goldberg, the second clue is that they are substituting what is essentially a bumper sticker for rational argument. Decisions regarding war must be made based upon a rational review of the facts regarding the specific situation. In the case of Iraq, such a review has convinced many that it is the American presence itself which contributes to the instability. Supporters of remaining in Iraq indefinitely have yet to propose a course of action in which our staying would result in either greater stability or less bloodshed than our leaving over the next year. The talk of genocide is simply an attempt to distract from the actual issues involved in Iraq by people who have been wrong about the war every step of the way. If preventing genocide was the real goal of the conservatives, we’d have been in Darfur a long time ago. The conservative argument has nothing to do with genocide and is all about finding bumper sticker rationalizations for the war when they have no good arguments and the facts are against them. The genocide argument provides no more rational for staying in Iraq than the earlier arguments based upon nonexistent WMD, terrorism, or spreading democracy. Update: Jonah Goldberg calls for testing to prevent uninformed voters, but not uninformed columnists.